Crafty Garden Mom: CGM Podcast Episode #13: Diversion Quilts + Book Giveaway!! CGM Podcast Episode #13: Diversion Quilts + Book Giveaway!! Store-bought vs. garden zucchini - no growth hormones used!! Diversion Quilting: do you do it? 1. An instance of turning something aside from its course. Diversion Quilting (CGM's definition): the quick-quilt you make when you want to get someone "off your back" about making them a quilt. It's not your absolute best or fanciest work, maybe not even the quilt you ultimately will make that person. But it will divert their attention from nagging you about making them a quilt so you can get back to the WIPs and other quilt projects you really want to make right now. There are also a lot of barn quilt trails throughout the U.S. Visit here and here for more information or Google "Barn Quilt + your state" to see what comes up! I am giving away 1 copy of this book! Leave a comment below by 9pm EST Friday, July 22nd. You can also enter a SECOND time by following my blog and leaving a comment that you are now following (or already follow). Ooo - I'd love the book! 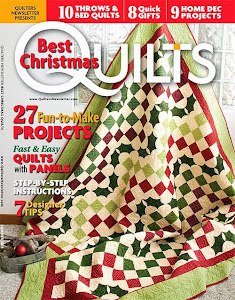 FYI... MY family knows if they NAG AT ME for a quilt they go to the bottom of the list. Reading is a secondary pastime unless it is to a three year old. Do you rotate your plants? Pepper and tomatoes are both NIGHT SHADE plants. I pick my zucchini smaller the size of the grocery store...just to keep my plants producing. If you let the zucchini get to big the plant will often stop producing as many zucchini. I also make zucchni bread/ cake and freeze them ... great for a winter morning grab and run breakfast. Everyone love it. Playing with the idea of getting EQ7 have EQ5-6 not sure if I will upgrade. Gotta run...off to see CARS 2 with the grandson..... Love it. 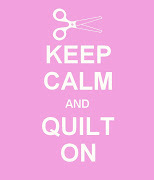 Although I'm not a quilter I enjoy and follow your podcast and blog. I am a crocheter and knitter; however you inspire me to start sewing. I would love to win the book. There are also barn quilts in Canada - in Ontario, for sure. I don't know if any other provinces have them. I love listening to your podcasts about your quilts and your girls. Would love to win a new book to read at the beach. Tanesha, I just discovered your podcast and am so glad to now be a devoted listener! Your program is just terrific. I was so taken by your review of the Alan Bradley book that I had to download it on my Nook even as I was listening to the podcast. I will be mentioning Crafty Garden Mom on my podcast later today (GreenStitch.) Thanks for a great listen! I have followed your blog for awhile now and love it. The Snuggly Squares quilt turned out beautiful! The book looks great and I'd love to win it! Thanks for the great book giveaway. It looks like a very inspiring book. Another great podcast and book reviews! Adding the Flavia books to my list of books to read! I wish they had Barn Quilts in the Northwest!!! Great podcast! The quilt for the baby is beautiful and Maddy is adorable! Of course Samantha wants a new quilt and, of course, it can be made right now. Lol! I love your book reviews and really enjoy listening to the History Chicks since you told us about them. 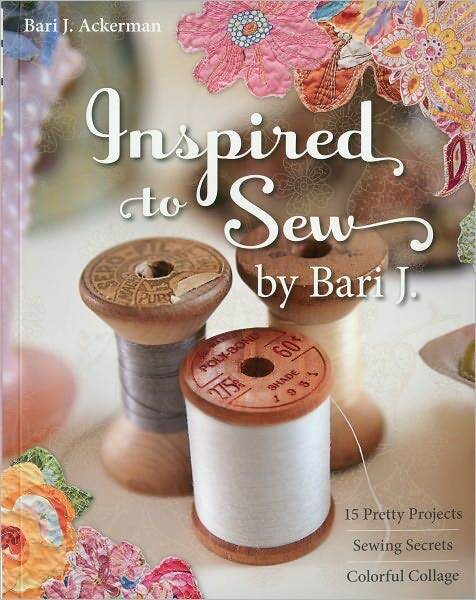 Thanks for the chance to win Inspired To Sew. It sounds great! Love your Snuggly Squares quilt, and the fabric choices! Thanks for a great podcast, and a great book giveaway! I am a new listener and am only up to episode #2! I can't wait to find out what gender the baby is (don't ruin the surprise!) So far, I am really enjoying your episodes. They have been making my workouts go really fast. I also became a follower. Thanks! I am really enjoying all your podcasts. I appreciate your authenticity in giving us a peek in your quilty and regular life. I have my list of your reviewed books to read or download when I have free time or I am in my quilting studio. I know I am enjoying the reviews and I have heard several other podcasters mention the reviews also. I have wanted to get this book, but know hopefully I will win it!!! I am now following your blog by RRS feed. On the barn quilts, my husband and I celebrated our 25 wedding anniv. by visiting Gaitlinburg TN and we put 1200 miles on our rental car chasing the Barn Trail. Very fun to see. Yes I am also following your blog with my rss feed. I love your book review and also follow you on goodread. And then of course find your quilting adventures so fun. I love the newest baby quilt, gorgous. And most of all the podcast, I look forward to each time you put out a new one. Sounds like a good books this time with new authors to me. I think the snuggly quilt is so cute. I just signed up to follow your blog. I really do enjoy you podcast. 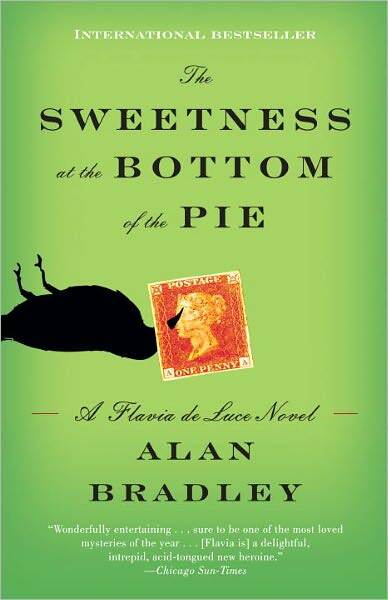 I just finished reading "Sweetness at the Bottom of the Pie" which I had borrowed as an eBook from my library. Lovely book! I was all ready to download the second book, but it's not available as an ebook (: I was really surprised when I read at the back of the book that this was the author's first novel and he had not been to England until after he wrote it! And that he was 70 when first published! Keep the book reviews coming! And the quilting stuff of course! Just finished listening to your podcast. I haven't listened to all of them, because I wanted to know what was going on right now! Great idea to use a 4 patch. Simple, but effective and you can sew the patches together using the leaders and enders method (quiltville technique?). Thanks so much for the Sweetness at the Bottom of the Pie suggestion. With that title I would have thought it was set in the South. I love that era. I have read all of Nevil Shute's books and writes about that time period also, mostly a bit earlier. I will put that in my Goodreads queue. Wanted to thank you for the "sealing iron" tip. I looked at one online. It looks like the perfect size for piecing. A regular size iron is too big. The Clover mini is a little too small. I ordered the sealing iron and look forward to getting it. Yes, I do diversion stuff all the time. I get tired of the projects I'm working on.... so I start a little something new for a little "refresher" then go back to my project. thanks for the podcast. I really enjoy it. Anyway, thanks for the podcasts, I really enjoy listening. Thanks everyone for entering! I did consider all entries up to this point, even if you were a little late. Also, I so appreciate you're listening (and enjoying) the podcast. Thanks for the kind words and encouragement.